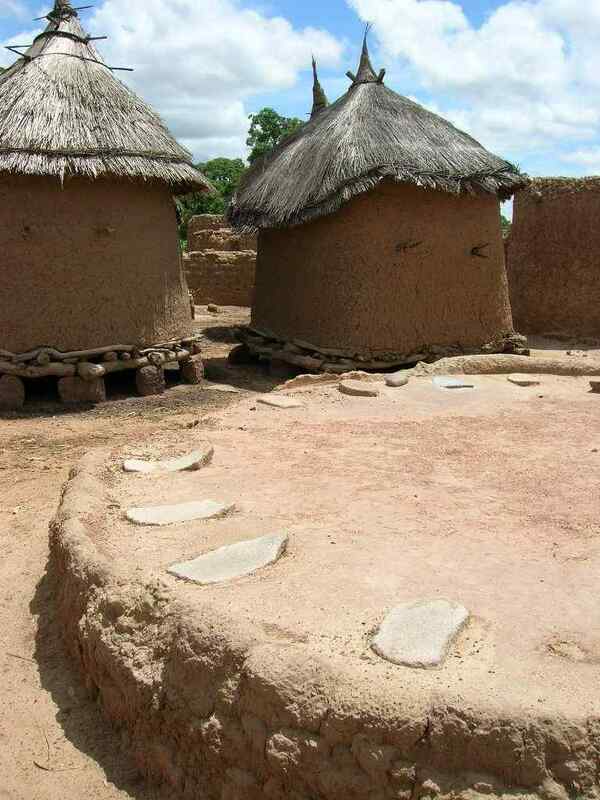 The village Leba is at two hours cycling from Ouahigouya. 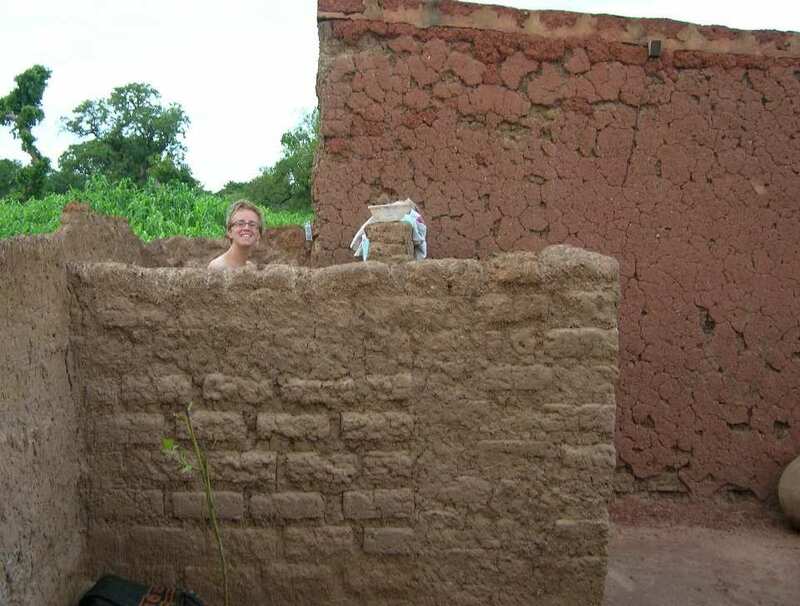 It is situated near the large but calm road to Ouagadougou. Cycling is easy, since the road is asphalted. 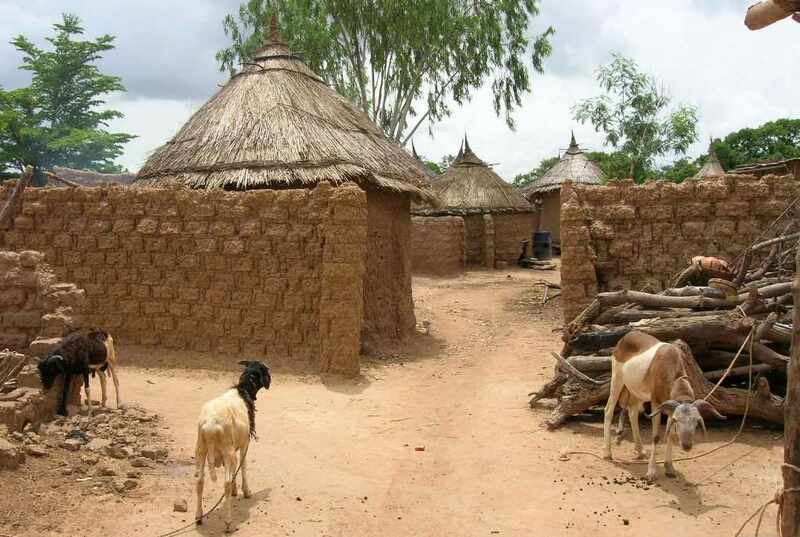 Many villages are hardly accessible during the rainy season. 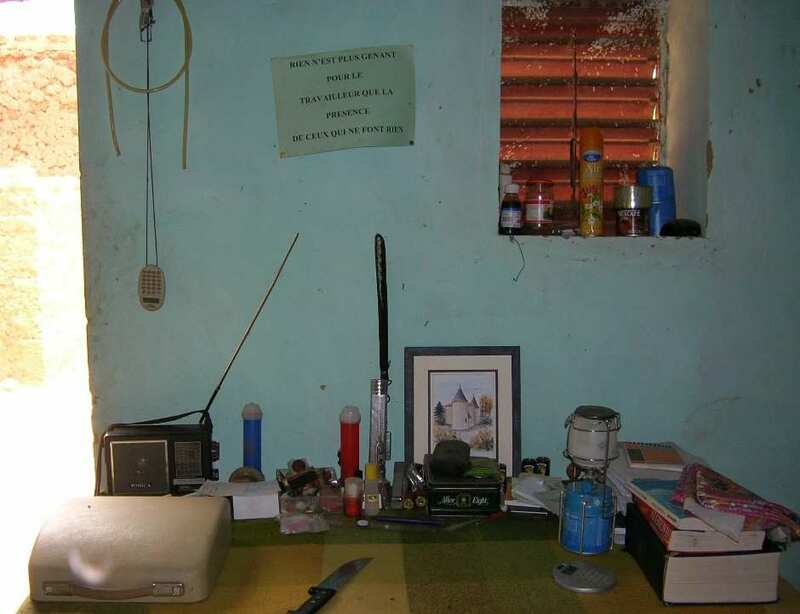 In Burkina Faso, it’s normal for husband and wife to live in separated houses. If the husband takes several wives, he has to construct houses for each one of them. On the left side, you see Prospers’ house (with a nice front door), on the right, the house of his wife Bernadette (with the metal plate at the entrance). We came to do some physical work. 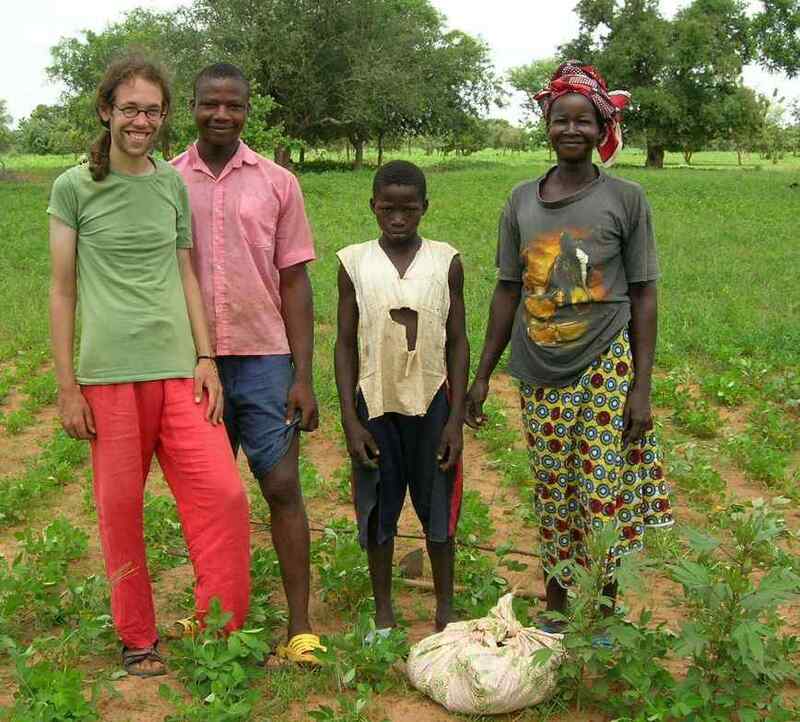 Prospers has a millet field to feed the family, and apart from that, he has some fields with cash crops. In September, the peanuts will be harvested, but Prospers waits until March – April 2007 to sell them. On that moment, sales prices will be 50 percent higher (8 euros for a bag in September, 12 euros in March – April). He is that smart that he even buys peanuts of other farmers in September to stock them and bring them to the market later on. A sort of central stage with grind stones is located in the middle of the court. Women grind the millet to flour. Hard work, if you ask us. Luckily, Leba village disposes of a mechanical petrol mil. For 5 eurocent you can obtain the quantity of flour you need for one family meal. Of course, you must be able to afford it. Here and there Prospers manages to mount lucrative activities. One of them is his pig stable. 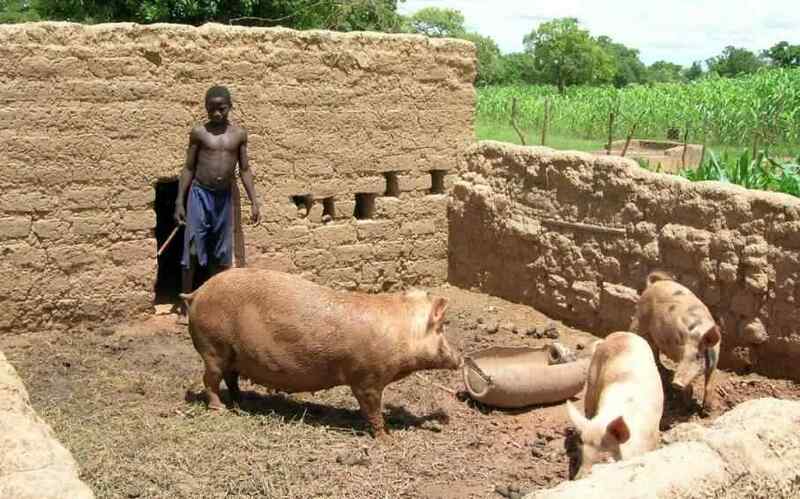 He gives grass to the pigs for them to grow fat! (and also the residues of the dolo brewing). 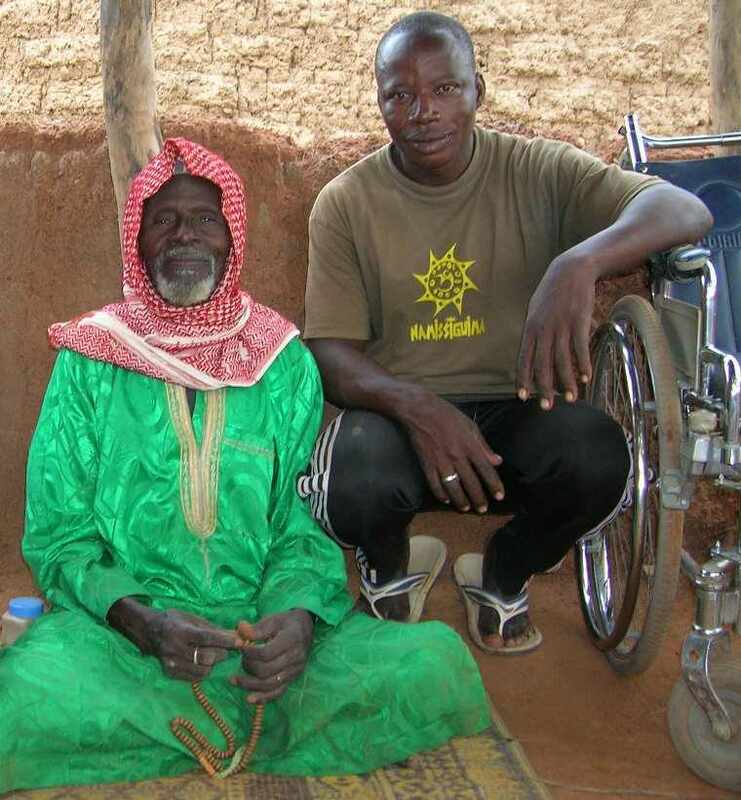 The old man here is his uncle, but since Prospers father has passed away long ago, he considers him as his own dad. 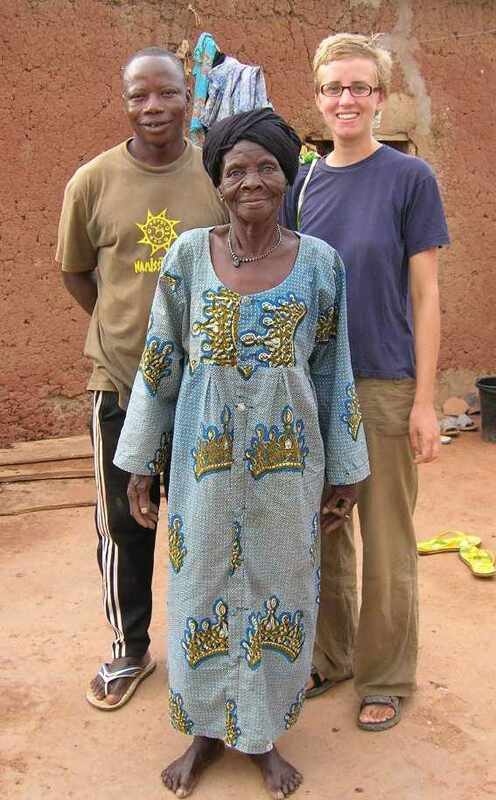 He dates back from the times that Burkinese people tried their luck in Ghana. How glad he was to be able to speak to us in English! Before you start your daily work and leave the court, you go to the elders to ask for their blessings. The lady on this picture isn’t Prospers real mother either. Still he calls her that way.